In a new amended complaint filed in San Diego yesterday, the SB 277 federal suit lawyers set their sites on destroying the illegal activities of the California Department of Public Health. This new and improved complaint is the work of many lawyers over several weeks and I want to nicely ask you to stop reading for a second and go give this team $100 if you can afford to because they are clearly working their asses off for the children of California. Starting around paragraph 70, the amended complaint dives into the legislature’s and the Governor’s intention to allow physicians to use their professional judgment in writing medical exemptions for children. Many kids had previously been using personal belief exemptions because they didn’t fit into the CDC’s very narrow definition of a vaccine contraindication. And this is where it gets juicy. Do you remember during the SB 277 hearings when a woman from the medical licensing board said they would not be investigating any doctors and medical exemptions unless there was a complaint filed? Since SB 277 was signed, the California Department of Public Health has been scheming about how to stop doctors from using the big brains that got them this far in life– but only the doctors who write medical exemptions. According to SB 277, doctors are able to write medical exemptions based solely on their judgment and sound discretion. That much is clear. But along came Dr. Charity Dean, who is named in the complaint, heading up the Santa Barbara Department of Public Health. On June 6th she sent a letter to all schools and day cares in her county ordering directors to send medical exemptions her way so that she can kindly scare the beejeesus out of doctors who write them and set them up to spend their life savings defending their licenses to practice medicine. Once Dr. Dean was personally named as a defendant in the first complaint on July 1 and received a letter from one of the plaintiff lawyers about royally stepping in it with violating privacy laws, she backed off a teensy bit. She issued a letter saying that schools and day cares should redact identifying information of the students with medical exemptions, but she still wants to know who those doctors are. Oh, they’re not in that business? That’s funny. Because the new complaint lets the judge know that self-proclaimed vaccine expert and law school professor Dorit Reiss– who was called on by legislators to testify twice in favor of SB 277 in 2015– published a legal analysis of this lawsuit a few days ago and she fumbled the ball for the beloved health department. Good thing she doesn’t have a license to practice law. But wait! Why would Professor Reiss say such a thing four days after Charity Dean told the press that meddling with doctors’ medical exemptions was never her intention? Because she mistakenly thinks the health departments have every right to go after doctors. Thanks for the help, Dorit. Unexpected, but appreciated nonetheless. I take it that “loose lips sink ships” isn’t a saying in your country. The SB 277 lawyers have got their own inside track and they discovered that the state health department has been illegally conspiring with other local health departments like Sacramento County and Marin County in conjunction with the California State Medical Board to go after the licenses of doctors who write vaccine exemptions for children. These entities are colluding to lie to doctors about the law and intimidate them into never writing exemptions with threats of losing their licenses and being held legally liable for using their professional judgment. SB 277 and suspicious medical exemptions for immunizations issued by California physicians. The California Medical Board process if a licensed physician is reported for issuing suspicious medical exemptions. But the irony is that it’s directors like Charity Dean who are breaking the law. It’s illegal to use taxpayer money to conduct an examination of medical exemptions that “don’t meet SB 277 criteria” because the legislature didn’t give health departments the power to do it. SB 277 has no criteria for medical exemptions and I assure you that no one in charge asked Charity Dean and her cohorts to just make some up. She doesn’t have the authority use public funds to pay herself and her minions to analyze exemptions and intimidate doctors– it’s called ultra vires activity that goes outside of the law. She and all the rest of them are about to be caught red handed trying to write medical exemptions out of California law. There is so much more kickass in this complaint so I might come back to share a little more with you soon, but you can always read the whole thing in that second link at the beginning of this piece. I want to close by telling you a little bit about the plaintiffs. The group is made up of children who are partially vaccinated and have titer tests as “proof of immunity” to disease, and vaccine-injured children who experienced convulsions after their last well baby visit. There are children of adults who are staunchly pro-life and refuse to inject products made from aborted human beings into their own children, and children whose parents are themselves vaccine injured with a family tree of autoimmune disease. There are disabled children– including one with a traumatic brain injury– with IEPs that are not being honored by school districts, and children with medical exemptions that were flagged by school nurses. One is a child of an MD and another the child of a DO. And there is a special little boy left wheelchair-bound after infant vaccinations. One of the last plaintiffs is a non-profit organization that promotes education for children that I encourage every one of you to join, named Education For All. It’s one way you can help power this suit forward, but still, go give these lawyers a hundred bucks if you’ve got it. Always love your posts! Does it concern you at all that there aren’t any completely vax free kids involved? From what I can gather all the plaintiffs believe in some vaccinations… How about families that strongly oppose ALL vaccines? And why are there organizations outside of CA involved in this lawsuit? Just trying to understand all of this…. Thanks! Overturning the law is overturning the law, and if the lawyers thought that certain plaintiffs were stronger for certain reasons, I’ll defer to their expertise. In the end, it won’t matter what got them there, it just matters that the law is overturned. So is the go fund me link that you list here, the money that will go to the lead lawyer, Jim Turner and his group? It isn’t clear as I don’t see his name or the other attorneys listed on the Go Fund Me. The issue with giving money to go fund me is that there is no accountability. Can you please explain? Kristen Hundley is the California advocate running the “Our Kids Our Choice” Go Fund Me account on behalf of the legal team, most of whom are not publicly named. Yes, those funds go directly to the legal team. If you have questions you can message Kristen through Facebook. The key point of contention is not whether you object to all, some, or none of the vaccines on the schedule. It’s whether the state can mandate them as a condition for school admittance. In my opinion, having some partially vaxxed or partially objecting plaintiffs is a good thing, as it paints the issue in a less polarizing manner. Levi, what can you tell us about Education for All? I haven’t found anyone who can disclose the names of the principles to me, and anyone who has been promoting this foundation has swiftly stated they are not part of the organization. 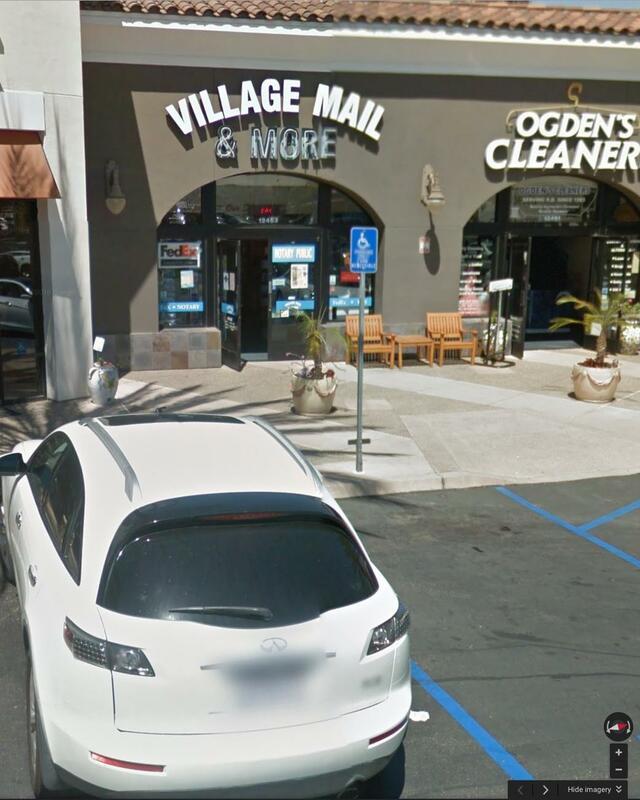 Looking up their address, 12463 Rancho Bernardo Rd, #525, San Diego, CA 92128-2143 on Google Street View, they are using a mail drop as their address. I trust you vetted them before you endorsed them, so please, put to rest all my suspicions about this apparently shady organization that is asking for our money and tell us who they are and why you are vouching for them. E4A Foundation is a new Nevada non-profit run by a front-line advocate who I and many people in this fight personally know. I have total trust in them. I would have zero concerns about someone making a donation to E4A, however, my donation links go to Our Kids Our Choice. Didn’t answer my question: Who are they? I mean, you’re asking me to trust you but you use a pseudonym. I like your writing, both stylistically and for your perspective. But a nameless figure vouching for the nameless and faceless doesn’t carry much weight for me, no matter how much I like said nameless figure’s writing. Nevertheless, until some of these E4A people step forward and show themselves, I will continue to advocate for a different donation channel to this lawsuit. And I will not be donating via the E4A channel. We’ve seen two major donation campaigns in the fight against SB 277 get diverted from the intended purpose. Enough is enough. The donation link isn’t for E4A. It’s OKOC. Thank you for this encouraging update. How do I donate $100 to the lawyers? Click the blue underlined links to the GoFundMe account at the beginning or end of the piece. Weston A. Price Foundation is also a wonderful organization represented in the lawsuit. For your yearly membership fee you get a quarterly journal with so much information about nutrition and health. I highly recommend joining. Done—$100 on the way! Sue these bastards into the ground! Good news. The fascists have shot themselves in the foot as well as the cranial vault. The delicious irony of that troll Dorit Reiss being a part of the downfall. That woman is such a pain in the nether regions. Good news. Down here in Australia we are funding a constutional challenge to the No Jab No Pay law that was passed at a Federal level. It basically coerces by withholding payments that help raising a child. Sure, at a state level, Victoria has No Jab No Play and that means littlies cant go to pre-schools unless vaxxed. Anyway, as we “follow America” in all things and especially this nazi-like desperate move to clamp down and force medical interventions on the children, I think this challenge to SB277 is the front line….If you guys win, so will we. Please dont give up, the pharma Tsunami is rushing across the world. Malaysia to our north is being pressured all of a sudden to vax and the Malaysian Health Minister said the other day he disagrees with mandates. DONT THINK FOR ONE MOMENT THAT WHAT IS HAPPENING TO YOU IS UNIQUE. Its going on everywhere and you guys are the FIRST to fight back – inspiring. BTW, there are two ways to donate to the litigation: 1) GoFundMe link that you provided, 2) At Edu4AllNow.org. Only difference as far as I know: Eduction for All is a non-profit foundation and thus donations are tax-deductible. Oh man, I’m in australia and said some supportive stuff but I said the word N*zi and I think the robot didnt post it..doh! The greatest threat to the future of humanity is apathy and ignorance. So, for society to give an inch to those whom would rather vaccine a child to potentially ruin their lives ..solely to make a profit, is the equivalent to giving them free rein over every aspect of our lives. SB 277 is not unique and citizens of California is not the only states to be battleing these efforts for mandentory vaccines. Similar legislation has been written all over the country, some having been already approved while others are pending approval. Considering the broad scope of these careless and irresponsible mandates across the country, ..lets not lose sight of whos truely behind these efforts by following the money and understanding who benefits the most from them. My point is that our true fight is not with local or federal governments, although we’re bound into fighting them on both levels, our true fight would be better focused at the true source …Big pharma! Could you post a link to what Dorit published a few days ago? I can’t believe she’s getting so careless! You can look her up on Skeptical Raptor. I don’t link to him. Thanks, I got it! He is revolting, always has been, it kind of surprises me that Dorit hangs with him as much as she does. I sent your article to several friends, what you said about Dorit made me laugh! I wonder if they’ll take it to the Supreme Court if it’s thrown out again. Pretty flamboyant miscarriage of justice at this point. It was clever to frame it as overstepping (a few) doctors’ professional judgment, and persecuting them for it. Hard to see how they’ll get away with that. Great article! Thank you! And thanks to Dorit too, hahaha!!! I am curious. Why is it a problem to monitor physician’s? We monitor them for prescriptions of narcotics and other possible abuses. That is all Dorit meant, that it is normal and lawful to monitor physician’s writing of medical exemptions, just as you would other activities, for abuses. Kathy Sayers Hennessy, if you want a law about the health department stalking doctors then write a bill and get it passed. Until then it’s illegal use of taxpayer money. Given your level of pro-vax advocacy I’d be shocked if you didn’t know that. Troll somewhere else. It is not illegal, but you will learn that when this lawsuit bombs. Seems the troll doesn’t understand what ILLEGAL means? Since no one knows how to predict when a vaccine will disable or kill any particular individual, how can it ever be an abuse for a physician to agree not to give it? On the contrary, it is abusive to give all the recommended vaccines to all children without having carefully and conclusively established that the disease is more dangerous for that child at that time then the vaccine. And since it would be completely impossible to do that, because NONE of the VPDs are more dangerous than the vaccines in the US at this time, then it must be left to the parents’ judgment. Celia, you are very wrong about the risk. There’s no reply option below your comment. I reacted to the DPT at three months old with days of screaming, vaccine encephalitis, and my brother reacted with beating his head on the bars of his crib for months, ditto. We both grew up with Asperger’s. His son later reacted to the infant vaccines with encephalitis and Asperger’s as well. I later reacted to a tetanus booster with both arms being paralyzed the same day (for several days), brachial plexus neuropathy, and was later diagnosed with MS by MRI. One attack paralyzed my left arm and leg for a month. My infant was given the hep-B vaccine at birth without permission, and against my express wishes, and reacted with encephalitic screaming syndrome for four days and nights. She later reacted to the DTaP booster at 18 months by having her only two words erased, and was diagnosed with autism two months later. Her speech therapist diagnosed her with aphasia, which is stroke-like damage to the language center of the brain: she is very low verbal. My father was paralyzed for the last three years of his life by a flu shot. Levi has written many extremely well-referenced (and funny) articles on the dangers of vaccines. At this point about half of American children have been seriously damaged by vaccines, starting with asthma and allergies. Very few of them would have been killed by VPDs, even if they hadn’t gotten any of the vaccines. As for the diseases, I’ve had measles, rubella, chickenpox, hep-A, flu, rotavirus, and pertussis. My daughter had pertussis (after three DTaP shots) and chickenpox. These were all typical cases, meaning not dangerous. We would be living healthy, normal lives today if we had not been disabled by vaccines. My family is more reactive to vaccines than most, but we’re not alone. I actually recommend that parents seriously consider the DT series after the age of two, and, if polio came back in the US, I’d recommend that parents give the polio series careful thought and probably get it. If I were going to a yellow fever zone for very long, I’d probably get the yellow fever vaccine. But I recognize that every vaccine poses a risk. I think if those were the only shots children got, there would be few reactions. But as for all the other vaccine-preventable diseases, the vaccines pose a much higher risk than the diseases. I’m not saying that some of the diseases can’t kill: in some cases, they can, but its still the case that the vaccines are MORE dangerous. If you disagree, could you give your specific reasons? I’ve actually been a lawyer for over 20 years and have won multiple massive lawsuits against the state but I have to say after reading the entire complaint it has almost zero chance of holding up and I feel bad for anyone who donates their hard earned money to what will likely be another failure. There are much better ways to try to get your message across. I’ve defended murderers and rapists who 100% did it. I despised them to the core of my being. But I did my job because that is what I swore to do as a lawyer. The reason our country is great is that our system, despite its flaws, is the best in the world. We may not agree with all our laws but we have to agree that even the ones who don’t like MUST be enforced for the system to work as a whole. Without that, we have anarchy. Having said that, there’s much better legal approaches if one wanted to attack this law. This one is a big loser and may do more harm than good. I understand the need to want to have some positive news and give people hope. But this is false hope. You can choose not to believe me if you’d like but when it fails remember my words. And think of that wasted money that could have been used for a more worthy cause. Sorry to be a bearer of bad news but it’s better to know now. False hope isn’t hope. Noah Ruderman you are a wedding videographer in Los Alamitos. You are not and have never been a lawyer. The call directly to your cell phone from March Against Monsanto ordering you to take her photos off of your blog wasn’t enough for you? Do you want me to look into what the state of California thinks of you impersonating a lawyer? I’m happy to do it. Say what? Who? (where?) No clue what you’re talking about. Would you like for me to supply my credentials for you? How about we do a public wager on the lawsuit and if you lose you donate $1,000 to support vaccines for a third world country and if I lose I’ll donate $10,000 to this lawsuit. That’s 10-1 odds! I can draw up the paperwork and we will both sign. Either way, a cause gets supported! Let me know. I kind of like you on a personal level even though there is something very, very wrong with you. It’s ironic to me that gay marriage was mentioned because I’ve often hoped that SB 277 would be CA’s new Prop 8 and laws of the SB 277 vain would be dispensed with post haste as soon as more legislators “evolved” on the issue. Speaking of which any chance of any kind of ballot initiative overturning 277? Also, forgive what might now be tiresomely repetitive questions, and my lack of legal understanding that accompanies it, but any chance of this latest suit having any bearing on a new TRO attempt? And thanks! Love the ones who pretend to have 3 PHDS, rocket scientists or such, god they are so easy to pick! 🙂 I am a pathologist, microbiologist and also a chemical analyst, and god do they pick me to bits, while they say I am none of these things. I use my OWN name, openly on facebook. Even my phone number. The trolls, are absolutely astounding, in their ignorance. So he has deal with rapists, but also knows all about the laws to do with SB277? A bit like asking a bone doctor, for advice on vaccines, ie John Cunningham …………….. hahaha. He has never given a vaccine in his life, and doesn’t even know a DTP from a DTap……………. We’ve got anarchy now with one in forty American children being diagnosed with autism now, one in ten with ADHD, one in nine with asthma, one in three with an allergy, one in twenty with a seizure disorder, one in six with a learning or behavioral disorder, one in forty with a peanut allergy… This has become a conflagration because so many millions have seen our children react to vaccines with disability or even death (mainly, but not always, SIDS). Everyone admits that vaccines can disable or kill. Theoretically, doctors should be in a position to exempt children at higher risk from taking the vaccines, from neurological and/or autoimmune disease in the family, or personal risk factors of acute or chronic disease. This lawsuit has caught the pharma-sponsored evildoers in the act of trying to keep doctors from doing so, ever, and taking away their licenses if they continue to protect children’s lives, a la Andy Wakefield. We’re going to win. If not this time, then next time, but we will win. Too many children have been permanently disabled by vaccines for this to go on forever. And 1 in 50 now being BORN vaccine damaged, from Tdap and other vaccines given to mothers while the babies still inside, They are the REAL stats. USA has more microcephalic births than Brazil (Brazil, though was the proof). EVERY mother got Tdap from 20 weeks gestation, beginning May 2015, the microcephalic, vaccine damaged babies began being born exactly 20 weeks later. They are the FACTS. Larry Fitzgerald says “if you lose you donate $1,000 to support vaccines for a third world country”. I knew this guy was a pharma shill before he posted this reply ^^^. When I saw the above, it confirmed he was a shill and that his first post was complete misinformation and nonsense. hahah, I missed that, damn hilarious stuff eh? Actually the basis for this already exists in malpractice rules under each state medical board. Sure we don’t want doctors having to defend every single decision they make but if a doctor were to make an inordinate amount of the same decision compared to other doctors in the area, it is suspicious and should be investigated. For example, if a pediatrician were prescribing 10 times the amount of antibiotics as the average pediatrician in the area, an investigation is in order. Given that pediatricians are the lowest paid doctors, it’s doubtful they would want this type of expense. Show me where a health department is having people send in their antibiotic prescriptions for tracking. If they were to investigate, then they would have to do so thoroughly and also tabulate how many cases of autism, autoimmune disease, etc., were diagnosed in the patients of those pediatricians who permitted more exemptions, compared those who vax all of them as often as possible. We all know that the fewer vaxxes children get, the healthier they are, as a group. Let’s insist of taking the complete picture into account. It’s really fitting that Dorit hoisted herself on her own petard because she admitted that her family owns stock in GSK. Bless these attorneys for fighting for our rights as parents to protect our own children. As a vaccine injury survivor myself I have a vested interest in this subject. Keep up the good work! I’d love to donate a portion of my Pro Vax Choice pendant/key chain profits to their legal fund! Is this the correct link here for JimTurner’s legal team who created the document? Santa Barbara & Sacramento amended the request to “deindentify” (redact students names) & still fax the medical exemptions with medical information and doctors names. However, this still violates FERPA because an obscure amendment to the law considers medical information an “indirect identifier”. With a doctors name and the reason for medical exemption, it is a very reasonable stretch to link that information back to an individual person especially in a smaller school. It is very specific, unusual and sensitive information. A person affected can file a FERPA violation complaint. Furthermore, all these Public Health Depts have violated The 1973 Fair Information Practices: “There must be no personal data record keeping systems whose very existence is secret.” There was absolutely no transparency in this request by a government agency to access medical information for data collection. The public has a right to know if any data collection is being done and given the opportunity to opt out. This request was not disclosed to parents, doctors, or the public but was sent directly to Superintendents, Principles, and Child Care Directors in a secretive attempt to access medical exemptions. It only became public because it was leaked. States are implementing Immunization Registries for all adults and children (California has CAIR). It allows all sorts of medical and government entities to have access to your records. There is an opt out clause but it is not well publicized. I noticed on the gofundme that donations can be made directly and more dollars will be received. If you send a check to Health Choice United/OKOC P.O. Box 1402, Sebastopol, CA 95473, we will be able to apply 8% more of your gift to the litigation effort itself. Be sure to indicate in memo that it’s for litigation. 100% of donated funds raised will be used for legal fees/costs and for no other purpose.